Includes the names: Gerald Jampolsky, Gérald Jampolsky, Dzerald Dzampolski, Gerald G. Jampolsky, Gerald G. Jampolsky, JAMPOLSKY GERALD G., Gerald G. Jampolsky, Gerald G. Jampolsky, mdmdgeraldgjampolsky, Dr Gerald G. Jampolsky ... (see complete list), M.D. 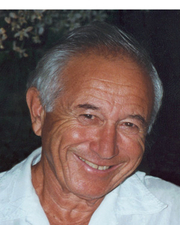 Gerald G.Jampolsky, Gerald G. Jampolsky M.D., M.D. Gerald G. Jampolsky, Gerald G. Jampolsky M. D.
Gerald Jampolsky, M.D. is a psychiatrist, formerly on the faculty of the University of California Medical Center in San Francisco. He is the founder of the Center for Attitudinal Healing in Sausalito, California, and a fellow of the American Psychiatric Association. Jerry Jampolsky's writings have been largely inspired by A Course in Miracles. He currently lectures and writes with his wife, psychologist Diane Cirincione. Gerald Jampolsky, M.D. is a psychiatrist, formerly on the faculty of the University of California Medical Center in San Francisco. He is the founder of the Center for Attitudinal Healing in Sausalito, California, and a fellow of the American Psychiatric Association. Jerry Jampolsky's writings have been largely inspired by A Course in Miracles. He currently lectures and writes with his wife, psychologist Diane Cirincione. Gerald Jampolsky, M.D. is a psychiatrist, formerly on the faculty of the University of California Medical Center in San Francisco. He is the founder of the Center for Attitudinal Healing in Sausalito, California, and a fellow of the American Psychiatric Association. Jerry Jampolsky's writings have been largely inspired by A Course in Miracles. He currently lectures and writes with his wife, psychologist Diane Cirincione. Gerald G. Jampolsky is currently considered a "single author." If one or more works are by a distinct, homonymous authors, go ahead and split the author. Gerald G. Jampolsky is composed of 15 names. You can examine and separate out names.